The article below was submitted by Keith Nordeng, a service-connected Gulf War veteran from Harrisburg, Penn. I first would like to thank those who have served for so many years on the service of the Gulf War Vet on the Research Advisory Committee. My name is Keith Nordeng. I’m only one of a multitude of ill veterans that had served in the Gulf region during 1990 to 1991. My voice is but one, but hopefully echoes for all of my fellow brothers and sisters that had served in the Persian Gulf theater of operations. We as a group suffer from a myriad amount of physical problems ranging from cancers to pre-Alzheimer’s like symptoms. We advocate for ourselves daily in hopes that a few primary care physicians’ will realize that we do suffer from real physical injuries due to our service in the Gulf. 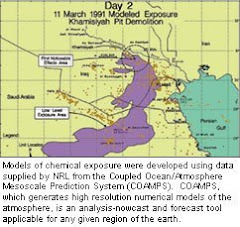 I for one have asked many physicians including those in the offices of environmental exposures in 3 hospitals located within VISN 4 of their knowledge of Gulf War Illness. Some of the replies have been “Your to old to have served in Iraq or Afghanistan”, Or you can take the Gulf War Exam as that is all that is offered. When I spoke to the Director of Environmental Exposures at the Philadelphia VAMC about the pocket guide to Gulf War Illnesses, that physicians are supposed to carry, her reply was that she ordered them in Jan 2012 but had never received the cards. This incident was in July 2013. My personal physician went through a 1 hour seminar conducted at the Coatesville VAMC on Gulf War Illness but she had thrown the card in a cabinet and she couldn’t find it anymore..
We know we will never know what specifically caused Gulf War Illness within our lifetime or any other lifetime as there are to many variables that have to be reproduced. Nor will there ever be a magic pill in the treatment due to its extensive symptoms which aren’t confined to CFS, IBS, Fibro or the other unexplained illnesses presented in the presumptive, which the Sec of VA has stated in the federal register of April 11, 2011 that there will be no new presumptive issued for Gulf War Illness. 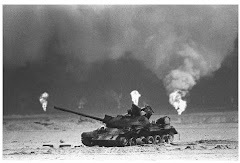 With the research on Gulf War illness there shows a definite medical problem within the Gulf War veterans. WE ARE SICK. Granted there will never be a magic cure all, we do hope that there will be a better understanding of the illness in the near future as we are in deed in the last hour and minutes of the fight. This will only happen from very strong, dynamic leadership from within VA. We the veteran demand from the Veterans Administration action on its part to improve quality of health with special emphasis on direct treatments of the Gulf War veteran using the recommendations arrived at from the Research Advisory Committee. This can only begin with the Secretary of the VA down through to include the middle entrenched beaurocrats to the local primary care physicians. I would also ask that the Gulf War veterans support the petition to keep a strong and dynamic leader such as Mr. Binns on as the Chairman of the Research Advisory Committee, for he has shown the leadership qualities that are and have been lacking in the fight for the Gulf War veteran from within and out of the Veterans Affairs. I would like to remind the VA that the system is for the veteran imparted to the veteran through Congressional enactment and that it is answerable to the veteran and all citizens of this great nation. I now challenge all that are within the VA to do what is right and provide the veterans of the Gulf War and all other veterans of all era’s with the modern health care that we the Gulf War Veteran have earned and deserve.